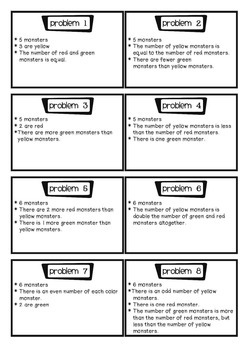 In this center children use colored monsters to assist with solving word problems. 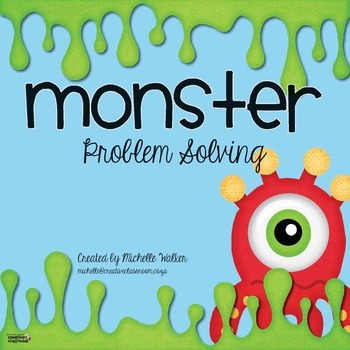 This center can be used again and again as it includes 16 different word problems using 5, 6, 7 or 8 monsters. 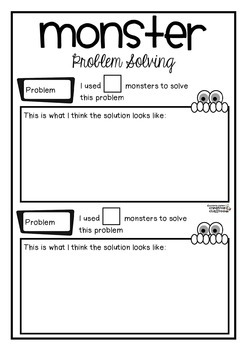 * Type this number: 636, if you are not a robot.